Women are indeed strong and capable—able to meet needs, please others, overcome obstacles, raise children, run businesses, and look good doing it. However, on the road to prove ourselves, I am afraid we’ve adopted an unhealthy mindset along the way. When I act like I must be all things to all people, I overextend myself as a human being, and set myself up for failure and others for disappointment. When we take on more than is reasonable, we exchange my strength for stress, and peace of mind for a frazzled state of living. It’s great to have ambition, it’s admirable to work hard, but I think joy and peace are waiting as we exchange the “look how much I can do at once” mindset for a “I don’t have to do it all to be enough” mentality. We each have different energy levels and bandwidth but many of us are trying to do too much and then wondering why we’re stressed out. When we over-commit, we set ourselves up for burnout. When we set healthy boundaries we provide a sustainable model in which our families can thrive. 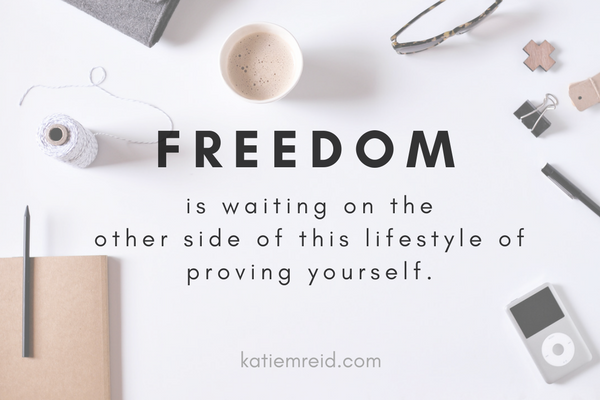 Read the rest of this post over on Ashley Willis’ site. Be sure to join us this week for Stop! 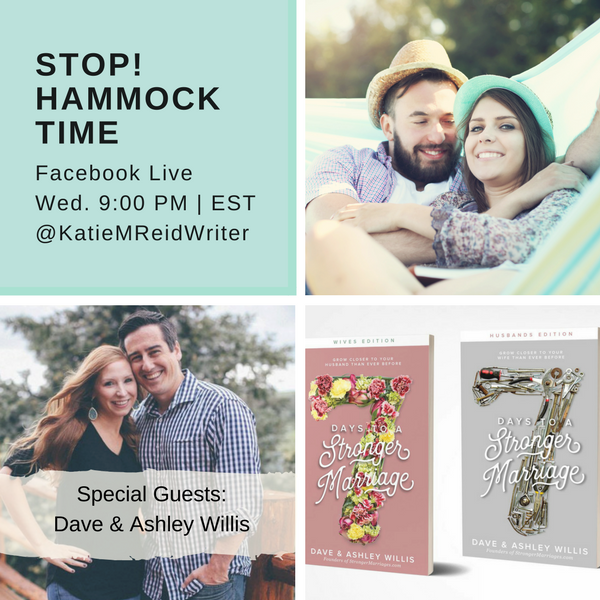 Hammock Time as we interview Dave and Ashley Willis of the Marriage Facebook Page. We’ll be talking about building stronger marriages as we introduce you to this dynamic and transparent couple. P.S. Be sure to subscribe (by entering your email address in the box at the top right) in order to receive free music and weekly encouragement into your inbox. « Is Perfectionism Choking Your Creativity?